But hope … hope was stubborn. Like a weed it returned, even after I had plucked it away again and again. Happy Spring Equinox/first day of spring. (And happy birthday to two very important people in my life, although I suspect that if at all only one of them will read this ;)) Winter returned with a vengeance this past weekend to my neck of the woods, I hope you have been faring a little better than this sun and warmth deprived reader. 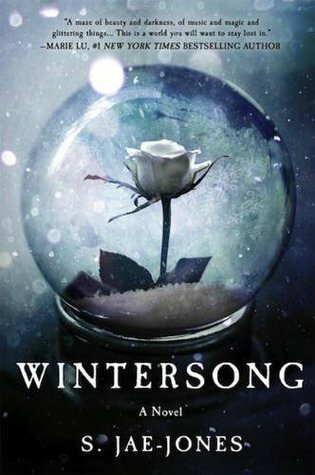 So what could be better fitting than a book with winter in the title? I was very pleasantly surprised that the setting of this book hit very close to home for me geographically speaking. And linguistically, because the author amusingly adds the odd German phrase here and there and while I usually find this a little tedious if the foreign language is then immediately translated this wasn’t the case here but I imagine that non-natives will be able to discern the meaning. I’m also quietly pleased that I only found one grammatical error and one stylistic oddity among those phrases. I wonder how the exotic phrases were handled in the German translation. But I digress … language nerd. There is a second book recently published to which I will come eventually. It will be interesting to see if the connection of faery (yes, again) to motives from other mythologies will remain as strong there. Or maybe even stronger for there is a secret to be uncovered and a possible curse to be broken. As well as several other fun elements that I hope to see again and see resolved. It’s very fun to see one’s home depicted as a magical and to English readers also foreign/possibly slightly exotic place. After all, the deep dark German woods are the home to many of the original faery tale creatures. And if after you’ve read this book you feel the urge to read the decisive poem on der Erlkönig by Goethe, I’ll direct you to my favourite translation right next to the original and the literal version here. Only know that our heroine would soundly disagree with this version of him as she comes to know him in quite a different capacity. Have you ever been surprised by a book being set in what is basically your neighbourhood? I suspect this happens more often to English readers than to Germans reading English books. Share your thoughts and teasers in the comments! I enjoyed your Teasers, especially the one about hope being like a weed. This sounds like a good story. The cover is gorgeous. Love the second teaser.